Hunger, Knut Hamsun: Another recommendation from the good folks at Literary Disco (this one from Sean Hunter himself). And…eh. It’s the first time they’ve steered me wrong. This is a very writerly novel. I’m not a real writer. At least not yet, and probably I never will be. Hunger is about a writer who is literally starving. It’s absolutely difficult to read. The guy will get a little money, and buy some bread and cheese. He’ll get a little money, and give it away, and starve for five days. Then he’ll sell an article! And get a little money, but lose it. Maybe the mom in me doesn’t love all the starvation. Maybe the home economist in me can’t figure out why this guy can’t get his act together. 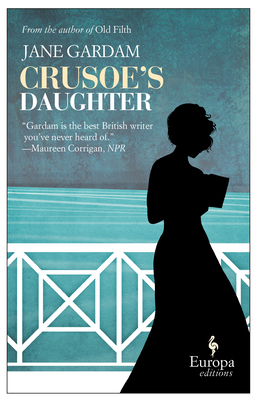 Crusoe’s Daughter, Jane Gardam: This book has been around for awhile, but has recently been re-released by Europa Editions with a snappy new cover. (And aren’t those Europa Editions lovely? I really didn’t enjoy that dumb Hedgehog book at all, but was tempted to keep it on my shelves just because of the quality of the book as an object.) If you’re a certain kind of reader, and I am, you’re thrilled when you find a cache of those old green or black Virago Modern Classics in the used bookstore. And you’d be thrilled with this book. It’s about a girl who gets left on the doorstep of her maiden aunties, one of whom marries a vicar (upsetting her lesbian lover), the other of whom dies, apparently of shock. The girl, Polly Flint, finds the library at her auntie’s house, filled with her grandmother’s stash of novels, and falls deep in love with Robinson Crusoe. After reading Treasure Island!!! I was interested to see what path Polly’s literary obsession would take. Instead of consciously trying to live by the book, as in Treasure Island!! !, poor Polly seems more possessed by Robinson Crusoe. Obsessed to the point that her life echoes the book eerily–until she takes drastic action to change her life and her circumstances. A short, dreamy read reminiscent of Jean Rhys’s Wide Sargasso Sea. “Certain kinds of readers” should give this one a go. 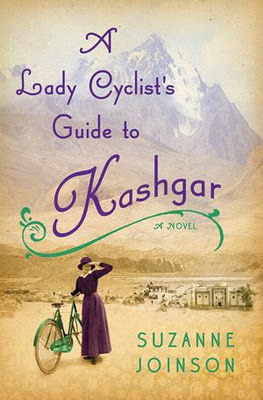 A Lady Cyclist’s Guide to Kashgar, Suzanne Joinson: As much as The Healing wants to be The Help, ALCGTK (pronounced as it’s spelled, sounds like clearing one’s throat to expectorate post-vomit mucous–vomit produced by reading this book) wants to be that silly Potato Peel book. You know, fine. Whatever. If you are, in fact, the kind of reader who appreciates buying novels that are similarly titled, similarly styled, similarly blurbed, and similarly structured, and you really like Potato Peel Pie, you’ll probably like this ok. I only finished reading it because oh my gosh that poor orphaned baby who they have problems feeding because you can’t just buy Similac in Kashgar! Even being aware of that makes me feel like I’ve been played by the book marketing machine. Seriously, Big Five. Treat us like we’ve got brains. You are much better off reading that Ann Patchett from last summer, or re-reading that old copy of The Poisonwood Bible that you can’t bear to part with. In One Person, John Irving: For me, John Irving is so hit-or-miss. I find I must be in exactly the right mood to put up with him. I dragged myself to the end of his last novel, Last Night in Twisted River (and, yes, I just had to Google that title, having forgotten it and most of the book soon after the slog). If this one hadn’t come quickly from the library, I probably would have let it go. The cover didn’t hurt it, nor did the promise that it was to be Irving’s most “political” novel in years. It’s about a queer boy, whom the cover copy insists is “bisexual.” He has a series of teenage sexual affairs and crushes “on the wrong people,” and grows up oddball in his small New England town. Later, he finds himself enmeshed in the AIDS crisis of the 80’s. I find this book more interesting in retrospect than I did in the moment, as it dealt with queerness and freakishness, using Shakespeare’s The Tempest as a major intertext (look forward to notes on Geek Love, later this week). If you like John Irving, this one won’t hurt you. Definitely better than Twisted River, with a more sympathetic protagonist as a bonus. Up next (no doubt, over several posts): The Chaperone, Laura Moriarty; Geek Love, Katherine Dunn; After Life, Rhian Ellis; The Uninvited Guests, Sadie Jones; The Moviegoer, Walker Percy. Longterm TBR pile holds Kelly Link’s collection from a couple years back; another Mary Wesley; maybe finally that James Salter novel, with a Reynolds Price chaser? I’ve also got my eye on that new Anne Tyler. What book would YOU not have read had it not come from your library, for free and at an opportune moment?